In 2015, as per United Nation Organization, every year each individual uses packaging of over USD 110 in the world, which is significantly contributing in the expansion of packaging industry. Corrugated packaging industry is witnessing an incredible growth due to the increasing demand in packaging for food & beverages, personal and household care products, medicines and other products. Booming e-commerce industry is playing a vital role in adoption of corrugated packaging for consumer goods. Around 85% of corrugated packaging is used for shipping boxes where high protection is required. Moreover, increasing popularity of corrugated retail display stands which is used for effective highlighting of products in retail stores is likely to contribute in the expansion of corrugated packaging business. These factors are increasing the global production of corrugated boards. In 2016, as per International Corrugated Case Association (ICCA) over 240 billion square meters of corrugated boards were produced, where North America occupies 30% revenue share of the total production. Furthermore, innovative solutions provided to key vendors for the adoption of corrugated packaging is also contributing in the growth of global corrugated packaging market. For instance, International Paper Co. uses cellulose fibers in corrugated packaging which is mainly used for packaging textiles, construction material, paints and coatings, and other non-durable goods. The global packaging market valued over USD 820 billion in 2015 and corrugated packaging accounts for nearly 28% market share of global packaging market. The global corrugated packaging market valued USD 239.24 billion in 2016, and is expected to reach USD 332.49 billion in 2024, growing at a CAGR of 4.20% over the forecast period. In 2015, North America is the dominating region for global corrugated packaging market followed by Europe. There are around 1,300 manufacturing plants for corrugated production in the United States and Canada and over 96% items are shipped in corrugated boxes in the US. Moreover, over USD 25 billion is contributed to the US and Canadian economies by corrugated industry every year. North America corrugated packaging market is expected to grow at a CAGR of 3.0% over the forecast period. Europe held around 30% market share of the global corrugated packaging in 2016. 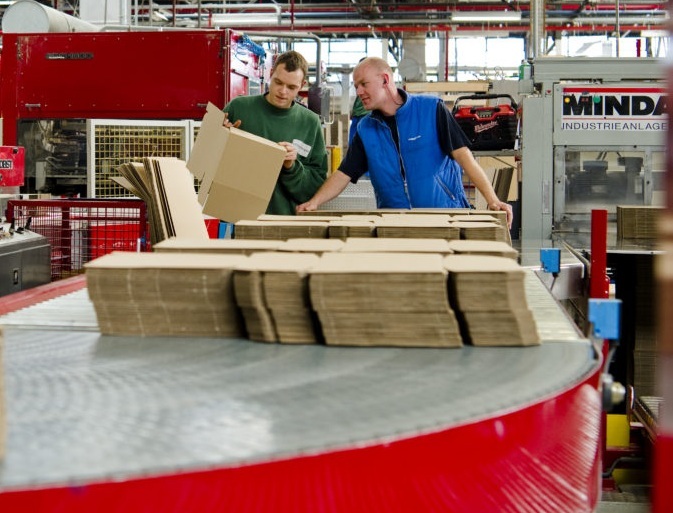 Growing demand of corrugated packaging in defense, manufacturing and food & beverage industry in countries such as Germany, Russia, Italy and France is likely to expand the corrugated packaging business in the region. Asia-Pacific is the fastest growing region for global corrugated packaging, owing to the high corrugated production and packaging consumption in China and Japan. Asia-Pacific corrugated packaging market valued USD 57.42 billion in 2016, and is projected to register healthy growth rate over the forecast period. Moreover, increasing demand of convenient and eco-friendly packaging in Latin America and Middle East & Africa region is also fuelling the growth of corrugated packaging market in the region. Latin America and Middle East & Africa region together held 12% market share of global corrugated packaging in 2016. Wooden and metal packaging is very heavy and due to its heavy transportation cost, people are shifting towards corrugated packaging. Growing awareness about environmental issues, increasing requirements for convenience and inclination towards smaller size packaging is together boosting the growth of global packaging market eventually raising the demand of corrugated packaging across the globe. High performance packaging and preference of eco-friendly packaging over plastic packaging is positively impacting the growth of corrugated packaging market. However, low durability, low water resistance property and low strength are obstructing the growth of corrugated packaging market. Due to incompetency of corrugated packaging to resist harsh environment it creates difficulty in carrying and transporting delicate and fragile products such as electronic goods, glass items where high strength and care is require. These are some of the factors which are hindering the growth of global corrugated packaging market.